This biscuit tin is in nice condition with some minor scuffing and tiny dents consistent with use and age. The pattern is actually in gold tones, which my photo doesn’t do justice to. 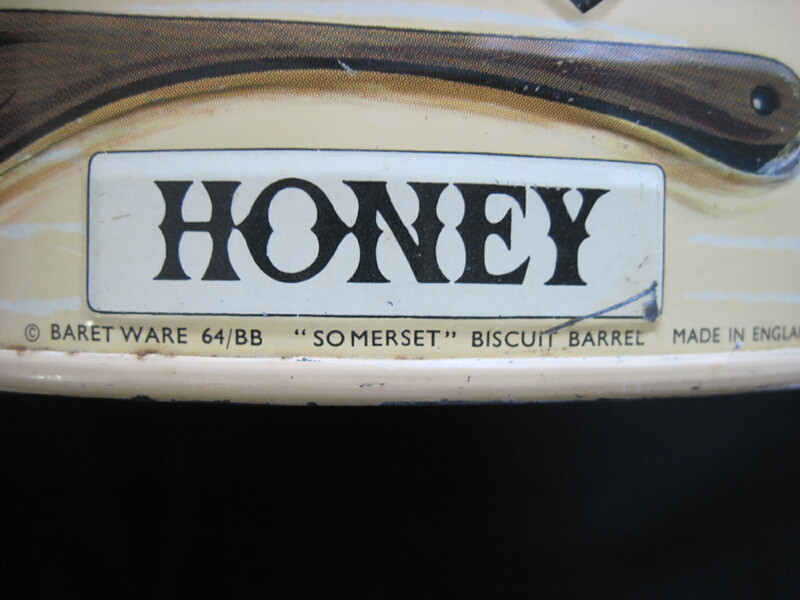 These biscuit tins were made by Baret Ware in England and this one is dated on the side 1964. There is a round compartment on the underside of the lid which holds a moisture absorbing material to keep the biscuits dry. Periodically the component in the lid should be taken out and placed in a warm oven to dry out and then returned to the compartment in the lid. These tins are available with lots of different designs. This one is called Somerset. Priced at around $15 and available in my booth at the Almonte Antique Market, 26 Mill Street, Almonte ON. Hi. Please would you let me know if this tin is still available. If so, would you be willing to ship to the uk? Hi. Yes the tin is still available. I retrieved it from my booth at the Antique store where I sell items. I would be willing to ship to UK. I will have to package and weigh it and get back to you with a shipping quote. Please email me at afacette@gmail.com and send me your mailing address. I can arrange to send you an invoice through Paypal once we have established the shipping cost and your approval to purchase. Thanks. 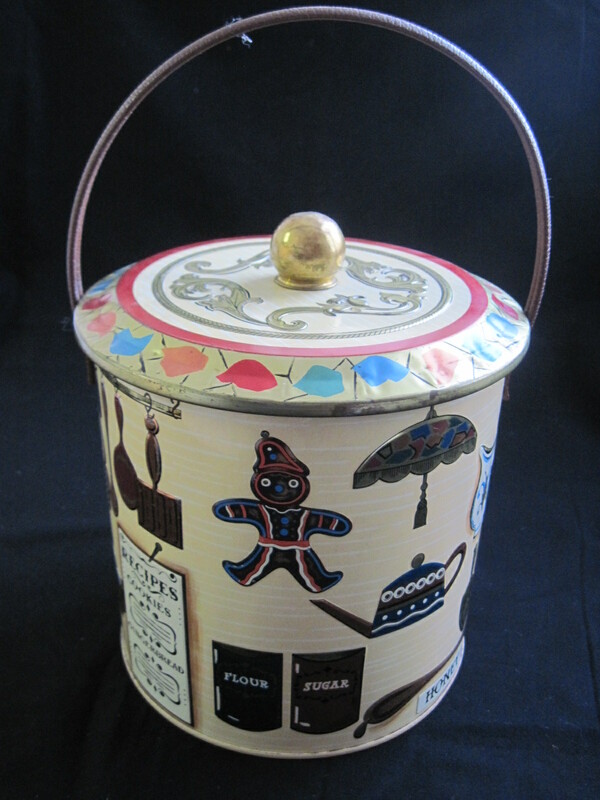 Yes this biscuit barrel has sold. Thank you.